MOJO writes: ONCE YOU’VE ESTABLISHED yourselves as the testifyingest gutbucket rock’n’roll band in Christendom, all slicked-up and flicknifed and primed to deliver 110% live entertainment, where do you go from there? It’s a moot point for Jim Jones Revue, one of the best live groups you’re likely to see, but with a necessarily retrospective shtick that translates less well in recordings, despite the best efforts of all. The answer, as delivered by their pending new single, Collision Boogie, could lie in texture. There is more to rock’n’roll thrills than out-and-out blasting and this spooky little shimmy could be a neat repositioning exercise, with the usual guitar blamalama on hold and pencil-moustachioed pianist Henri Herbert swopping Jerry Lee Lewis maximalism for Bo Diddley minimalism (we’re thinking Lafayette Leake’s sparse lines on 1958’s Hush Your Mouth). We’re very proud to announce a new release by the UK duo known as The KVB via our sublabel Cititrax. 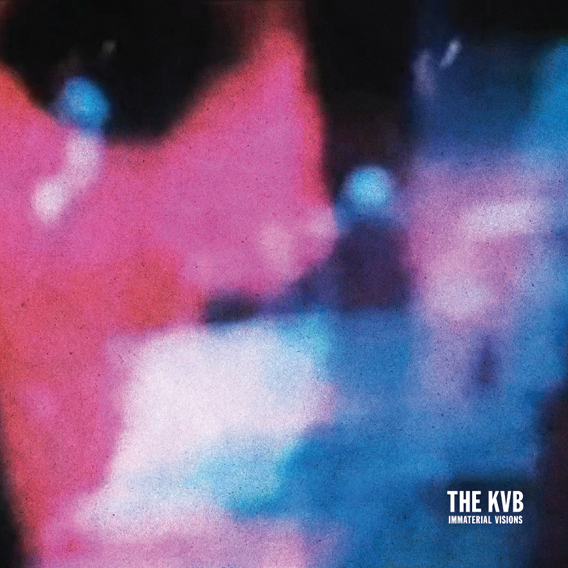 Combining shoegaze guitars, minimal synth melodies, hypnotic drum machine rhythms and reverb drenched vocals, The KVB was first formed in 2010 as the solo project of Klaus Von Barrel. He was later joined by his girlfriend Kat Day, who added synthesizers and abstract visual elements. Their sound can be described as dark, layered, complex and moody – an icy atmosphere juxtaposed by the warmth of distorted guitars. Aside from actively touring, they have had quite a few releases in this short time span, including a limited edition cassette on FLA Records (“The Black Sun”), a 10” vinyl EP on Downwards Records (“Into The Night”) and two releases on Clan Destine Records (“Subjection/Subordination” and “Always Then”). Inspired by what we heard on these releases along with the recent inclusion of Dayzed on Downward’s So Click Heels Compilation, we felt the time was right to present a full length album of The KVB’s latest material. The record will be pressed on 180 gram ultra clear vinyl, housed in a high gloss printed heavy sleeve, limited to 999 copies. Sound samples linked below. Aside from the 8 tracks featured on the Immaterial Visions LP, we’re also happy to announce that there will be a limited edition vinyl release of remixes of select tracks from the album. The release will include remixes by Regis, Silent Servant, In Aeternam Vale, and Shifted and will be available as a 12” EP. More news on this soon. 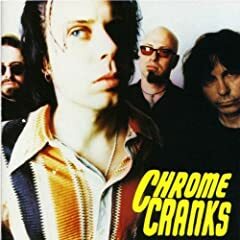 The Chrome Cranks are renowned for their raw, dark, and fiery live performances, and they were regarded as one of the leading acts in the 1990s punk blues movement in New York City. The Chrome Cranks’ singular brand of dark, unhinged punk blues has been cited as a key influence by a growing number of younger acts, such as The White Stripes and Cat Power. Covers of songs by The Chrome Cranks as done by other bands are relatively commonplace, and several are being assembled into a tribute album tentatively entitled Collision Blues.